This year my media program made a huge change: we built a sports-only program. This new class is charged with sports magazines, all sports content from the freshman B team to varsity, schedules and rosters, and, what might just be my favorite part, public relations and advertising in conjunction with our school athletics office. Roles in the class change based on athletic season. Two-thirds of the class will produce journalistic content in one season (with “team captains,” not “editors,” at the helm), while the other third is placed on the public relations team lead by a brand new position, the Public Relations Director. This innovative team is charged with developing a season-long campaign and focusing their time and attention on a specific sport. For example, right now we have a student working as the Account Executive (AE) for boys basketball; another for girls basketball; a third with wrestling; a fourth dividing time between dance and cheerleading; a fifth on our allies program; and a sixth split among swimming, bowling and hockey. Each AE is responsible for a number of tasks, each aided substantially by digital media: campaign development, outreach, press materials, giveaways and merchandise, and, most important to this post, social media. Each AE is required to develop and manage a social media presence for their assigned team, which starts with a meeting and ends with a plan. Even though it is another post in itself, each AE sits down with his/her respective head coach to discuss what a season-long campaign would look like. Part of this meeting is a discussion of social media. Ask if the program has any social media accounts already. If yes, the coaches are more than willing to hand over the login information. If not, this is where the AE and coach talk about how the AE will manage, at minimum, a Facebook fan page, Twitter account and Instagram account. This meeting traditionally ends with the AE talking through examples of what he/she would like to accomplish with the social accounts. Here are the top seven ways this is done and how we do it. Promote games and scores. 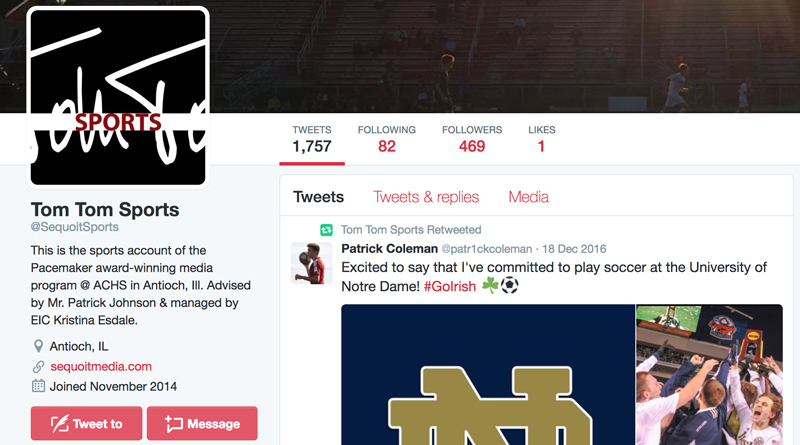 Our sports program oversees a lot of social media accounts, which also include our Tom Tom Sports (@SequoitSports) account. All accounts push results; however, now that we’ve bridged into having a PR component, the promotional side of games now occurs on the individual sports accounts and our account will oftentimes retweet those posts. These sport-specific accounts have drastically changed our social media content. Now, our program account focuses on the journalism, which is what’s important, and these sport-specific accounts are helping train media students to know audiences, develop messages and promote content for defined purposes. Articles and mentions are constant, especially if your team is good. Team social media accounts try to retweet those mentions, or tweet out links with stories from other media outlets. Quick tip: make sure to tag the media outlet and journalist that wrote it. You’ll be more likely to get retweets and followers to your accounts. It’s not dead, so we train our AEs to use Facebook fan pages for building community. Not only does the AE also post scores, promote games, and share articles and mentions, but the AE also find the fan page to be an area where parents and fans can share their own content and become a digital community beyond what they can do in 140 characters. This is also where the AE becomes a customer service representative. The AEs must be ready and able to communicate with the audience who follow the accounts. This could range from responding to questions in a timely manner to maintaining open channels of communication between the coaching staff and program fans. Each AE has the Facebook Fan Page app on their phones and tracks their percent response rate quite consistently. They even keep it on a white board by their desks to see who is fastest. The visual is tremendously powerful, and we use Instagram for just that. Show the behind the scenes of the team. This could mean pregame meals and rituals, practice time, or even player and coach opinions on the upcoming game or the season as a whole. This is done both with stills and motion. 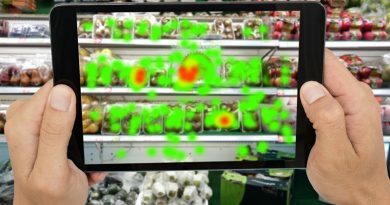 Our AEs work to tell storytelling for the team in diverse ways; they also track their insights to see which type of messages generate more user interaction. 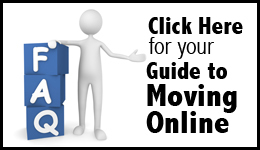 This data guides decisions moving forward with content. Be a promotional tool because it will generate buzz and revenue for the teams. Team instagram accounts showcase merchandise and promote games for the teams. In the past, direct links are supplied in the comments section for members to buy t-shirts, sweatshirts and more from online stores. Additionally, maps are included for away games as well as written directions to help guide fans to support their teams. The big three does mean we stop producing social content. 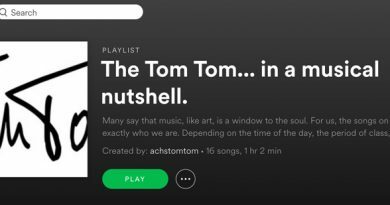 As a bonus, the AEs work with our staff to develop Spotify playlists (such as pump up playlists) to include on our Tom Tom Spotify account. We’ve also worked together to develop Pinterest boards for clothing and accessories needed for the sports. While these other social media accounts aren’t built for the teams, they’ve been excellent opportunities to show teamwork. Slowly, this is allowing us to be better about our content choices journalistically, and helped teach students to be more well-rounded media producers and consumers.